As a life-long “Wyoming-ite”, John has spent his life immersed either owning, operating or brokering farms and ranches. John partnered in several farm and ranch operations located in Wyoming, Colorado, and Nebraska after earning a Master’s Degree from the University of Wyoming. 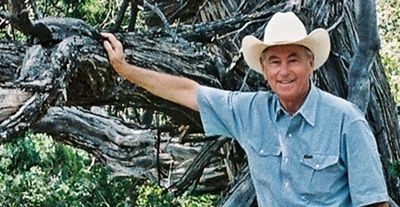 After learning the ranch brokerage business with Lowham and Associates, John established Pearson Real Estate Co., Inc. in 1991. John has been a licensed, full-time ranch broker for 33 years. In 1991 John was conferred the designation of ALC by the Realtors® Land Institute, the land brokers’ arm of the National Association of Realtors®. The ALC designation is conferred only to those professionals that complete a rigorous education program, have a proven track record of transaction performance, and demonstrate a commitment to professional growth. Theo has a global background that includes farming and ranching in both Africa and Wyoming; development of coffee, vanilla and cashew markets in Indonesia as part of the United Nations Development Program; and property management. Theo began his education at the Royal Agricultural College in the United Kingdom and completed his Masters Degree in Agricultural Economics at the University of Arizona in Tuscon. 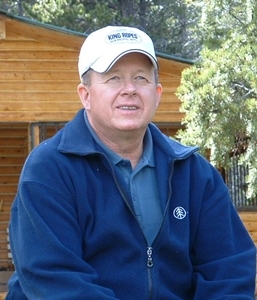 Theo has been a licensed ranch broker and appraiser since 1991 and owns TBH Appraisal Company. Theo has achieved the General Appraiser certification proving his expertise and qualifications to appraise ranch lands, farms, recreational properties, commercial properties, and investment properties in addition to homes and residences. Having grown up on a family dairy farm in Michigan, Cheryl learned early the value of hard work, the importance of land stewardship, and a love for all things outdoors. With degrees in Fisheries and Wildlife Management and Wildlife Toxicology from Michigan State University, Cheryl worked as a stream biologist and field researcher studying toxicology-related effects in bird populations of the Great Lakes region and remote Midway Island. Seizing an opportunity to move west, Cheryl moved to Wyoming in 2000 with an innovative agribusiness technology firm. She has worked on several large ranching operations prior to pursuing a ranch real estate career. Cheryl participated in the 10th class of the Wyoming L.E.A.D. program. Sponsored by the Wyoming Business Council – Agribusiness Division and the Wyoming Agricultural Leadership Council, L.E.A.D. is an agricultural leadership program with the mission of developing informed, motivated, and effective rural leaders that will speak and act on behalf of agriculture and Wyoming’s communities. Those selected for the program benefit from seminars and networking opportunities around the state of Wyoming, in Washington, D.C., and on an international agriculture tour. John has lived in or near Buffalo, Wyoming for most of his life. He resided and ranched on the historic TA Ranch for 26 years. John has a degree in Agriculture Business from Montana State University; and in addition to real estate, has worked in the fields of banking, insurance, and retail. He continues to co-own and co-manage a family ranching operation near Arvada, Wyoming. John has been involved in real estate sales since 2003 and is a licensee in both Wyoming and Montana. His agricultural background and experience in other business fields provide him with the skills necessary to assist clients with all aspects of real estate transactions. John’s recreational interests include hunting, fishing, golf, and spending quality time at the family mountain cabin. Jerry is a Wheatland, Wyoming native and fourth generation involved in agriculture. As a graduate of the University of Wyoming with a B.Sc. degree in Farm and Ranch Management and Ag Business Jerry returned to the family ranch, raising commercial and registered Hereford, horses, hay, corn, small grains, and four great kids. After down-sizing in the late 80’s Jerry and family moved to Marion, Montana to manage a 950 cow/calf operation for 7 years until it was sold to the U.S. government for a wildlife refuge. Jerry and family then returned to Wheatland where he and three sons started a construction business, building mostly in rural areas for ranchers and farmers. Jerry and Sherma enjoy their small cattle and horse operation. Larry was born in Iowa and spent most of his youth with his grandparents on a small farm. In 1970 he attended Auction College in Mason City, Iowa and has continued in the auction profession for 49 years. He is a member of the National Auctioneer Assoc. and Wyoming Auctioneer Assoc. Larry has been president and director of the Wyoming Association and is two-time Wyoming Champion Bid Calling Auctioneer. He was also the Wyoming/Montana Champion Bid Calling Auctioneer in 2016. Larry received his real estate broker’s licenses in the early 1970’s and has continued with the auction and real estate business in Buffalo, Wyoming for 40 years. With much success, Larry has used the multi-parcel method of merchandising real estate to maximize the highest possible results. Larry was in the ranching business managing a cow-calf operation for 17 years. Larry also owned and operated a big game outfitting business for 28 years. Larry and Eva, his wife of 58 years, live north of Buffalo. They have 3 daughters, 3 sons-in-law, 10 grandchildren and 18 great grandchildren. 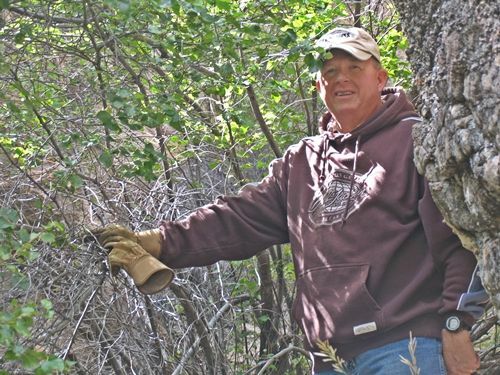 Larry’s lifelong background has been working with people, selling, agriculture and wildlife management. Anne has been with Pearson Real Estate since the beginning and offers valued office management skills as well as creative design work. Raised near Ten Sleep, Wyoming, Anne & her husband, Grant, raised their family in Buffalo. Now proud grandparents of 11, they enjoy camping and fishing with them in the Big Horns as well as taking in all of their sporting events.